Dog Training, Dock Diving, Extreme Vertical, Speed Retrieve, Lure Coursing Swimming, Parties for your "Dogs” and their friends. Our two acre facility is fenced and secure. 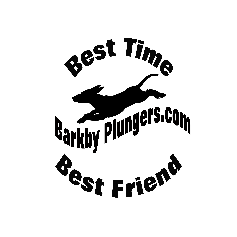 Barkby Plungers sits on two secure fenced acres with a 55’ wide by 90’ long, 7.5’ deep well fed chemical free continually circulated pond with a Dockdog regulation dock. The dock is 8’ by 40’ with over 1” turf, and sits 24” above water surface. Set up for speed retrieve, extreme vertical and big air, practice and training. We offer rinsing your dog after swimming, toys, dog vest and clean up areas for your use. Dog must love water,and must be friendly and updated on their vaccinations. Be responsible for your pet and clean up after them. Encourage your dog to jump but please, no pushing your dog in pond. Assistance is available upon request. Contact us for rates and scheduling. Email us to schedule your group or private session.